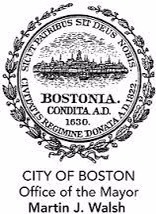 BOSTON – Wednesday, May 31, 2017 – For the fourth year in a row, youth ages 12-25 in Boston have a chance to vote how the City of Boston spends $1 million dollars of the Capital Budget through the “Youth Lead the Change” participatory budgeting process. From Friday, June 2 through Friday, June 16 voting stations will be set up at locations across the City so votes can be collected. Youth Lead the Change (YLC) is managed by Boston Centers for Youth & Families (BCYF) Division of Youth Engagement & Employment in close collaboration with a steering committee comprised of community and youth serving organizations. The Mayor’s Youth Council partnered with youth organizations to write the rules and oversee the implementation of the process. Voting polls will be located at local train stations, youth centers and school buildings for the city-wide vote. See the list here. Last year nearly 5,000 eligible votes came in from Boston’s youngest populations. A special emphasis is placed on engaging LGBTQ youth, homeless youth, undocumented residents and court or gang involved youth. BPS Renovations: New lockers for Brighton High School. Cultural Street Art and Latin American Walk of Fame: This project would create cultural street art and a walk of fame. Homelessness Resources: A digital billboard displaying resources and job opportunities available to the homeless youth. Mobilizing Health Centers: A truck or car that provides medical materials and some outpatient services to youth. New Trash and Recycling Bins. Future Media Center: A space that would contain recent technology that would otherwise be unavailable to most students. Get Home Safely: Students returning home from school and work would be provided with safe travel provided by police call poles. Performing and Visual Arts Center: A space where people of all ages can come together and create all types of art. The “Get Hired” Truck: A resource truck devoted to provide youth with the ability to search for jobs, build/modify resumes, and give them access to search and apply for jobs. Mobile Youth Retail Space: A mobile retail space for youth entrepreneurs. Past projects selected for funding have included expanding Wicked Free WiFi, installing water bottle refilling stations at parks and placing newer trash cans and recycling bins in select neighborhoods. Boston Centers for Youth & Families (BCYF) is the City of Boston’s largest youth and human service agency. BCYF operates 36 community centers in Boston that offer a variety of engaging and enriching programs for people of all ages created through community input and need. BCYF also oversees many citywide programs including the nationally-recognized violence intervention and prevention Streetworker Program and SuccessLink, Mayor’s Summer Jobs Program.